Today, President Trump released his first proposed budget to Congress. Here is a statement from Toxics Director Kara Cook-Schultz on the President’s budget proposal. Newly-released emails written by executives at Monsanto Co. show that Monsanto employees ghostwrote articles for independent scientists. Corporations from Walmart, to Aflac, to Duke Energy were among the largest contributors to candidates in states during 2016, according to a new analysis of data by the U.S. Public Interest Research Group (U.S. PIRG). A district court judge last week dismissed Monsanto’s lawsuit against the California Environmental Protection Agency. 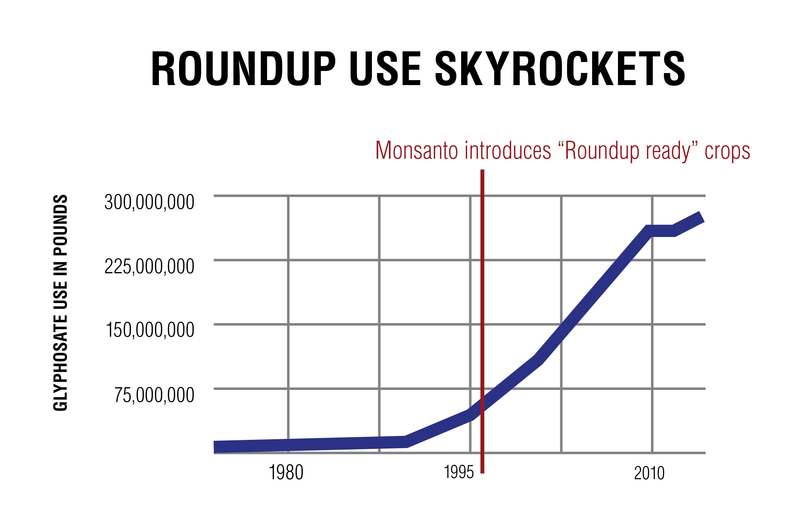 Based on the ruling, consumers will soon be informed of the health risks of Roundup and other products containing glyphosate, the active ingredient in Roundup. Many genetically engineered crops on the market currently contain antibiotic resistance marker genes because of the imprecision of the gene insertion process. Scientists use these genes to determine whether a gene has inserted itself into a target organism. As a result of incorporating these antibiotic resistance genes, these crops threaten the already growing problem of antibiotic resistance, which the world medical community acknowledges as a serious public health concern.